Bright, fresh and full of light, drawing its name from the street it sits on, Darling cafe has the same relaxed aura as a hip beach front cafe. Attracting a rather young crowd, the place is full of positive energy. Take a seat in their beautifully decorated U shaped dining area and listen to the happy chatter of locals which is only broken up by the sounds of blenders bringing colourful fruit smoothies to life. 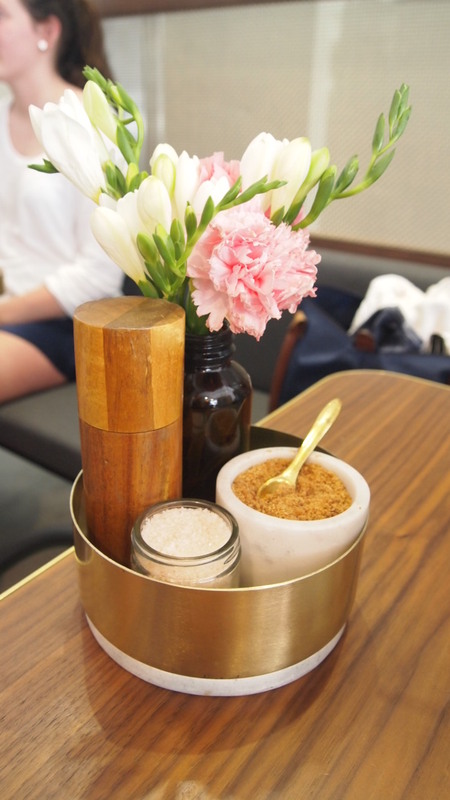 Timber tables are adorned with gold and marble condiment trays, as well as a small bunch of bright fresh flowers which add to the general relaxed ambience of the space. Offering extensive and diverse menu options, you can get everything from a very on trend Acai Bowl to a variety of wok cooked stir frys. 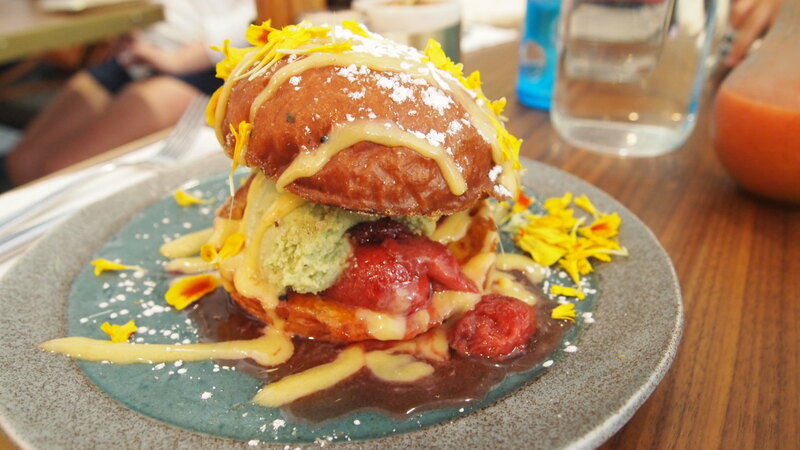 Being quite balanced between sweet and savoury options, sugar lover will rejoice at the site of waffles, pancakes, french toast and a sweet brioche all on the same menu. Despite loving a sweet breaky, I’m a sucker for a breakfast bruscetta and this version was delicious. 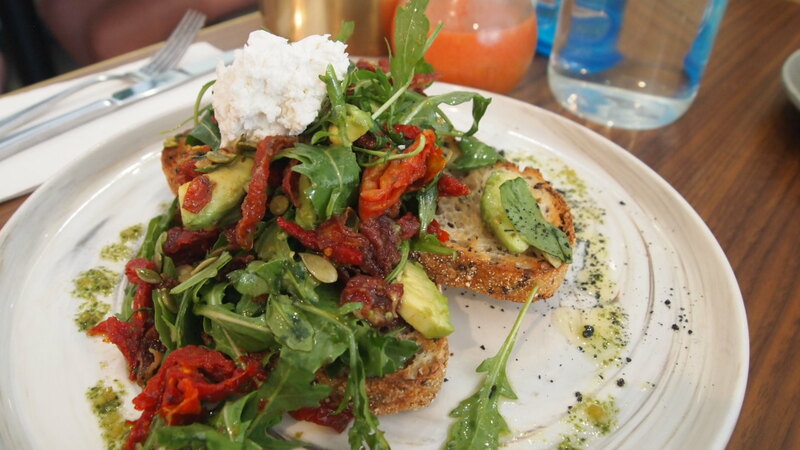 Thick crunchy toast topped with avocado, a generous amount of crispy pancetta, sundried tomatoes, pumpkin seeds, rocket and creamy goats cheese – light but naughty at the same time. It was nice to see they didn’t skimp on the pancetta, which added another level of texture and saltyness to the dish. 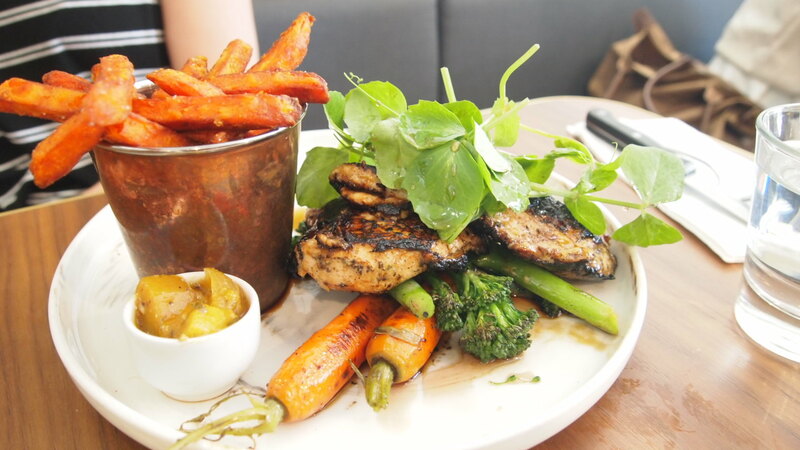 A popular dish amongst our table was the grilled honey sesame chicken breast served with sweet potato chips, mango curry chutney, asparagus and baby carrots. Marinated really well, the chicken retained a strong honey sesame flavour throughout. Tender and juicy it made for really good eating and had a couple of the ladies raving about it. One of the current draw cards to Darling is their bright smoothies. 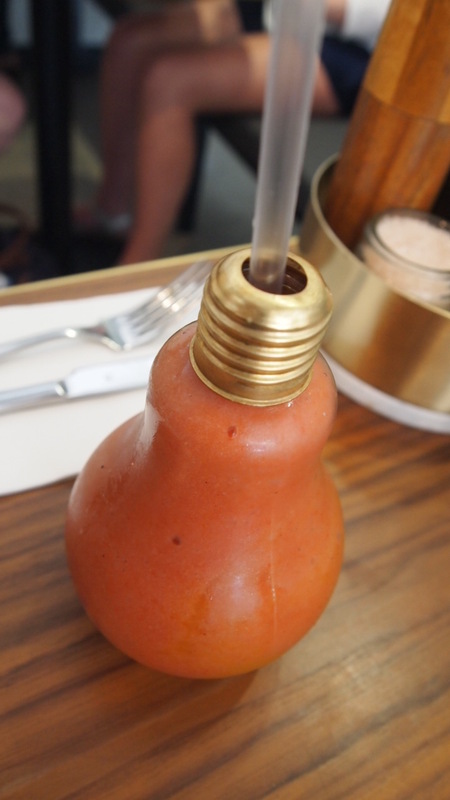 Served in a novelty light bulb, my ‘Thomas Edison’ was the perfect mix of strawberries, mango and guava. Sweet and summery it had me dreaming of an island getaway and for that very reason I’d come back to Darling at the drop of a hat.